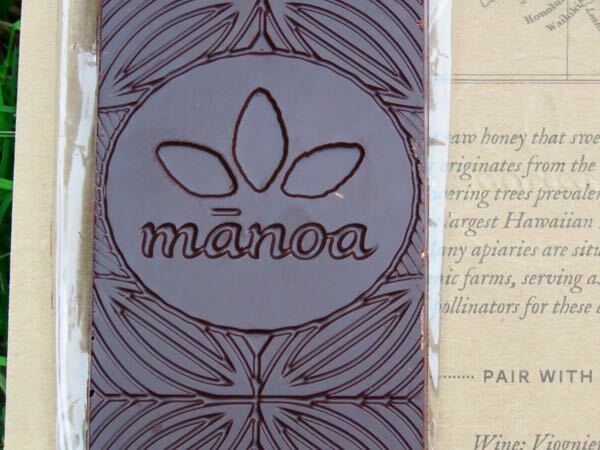 This Oahu based bean-to-bar maker has been carefully honing his craft for several years, and many of his bars have incorporated local Hawaiian inclusions. 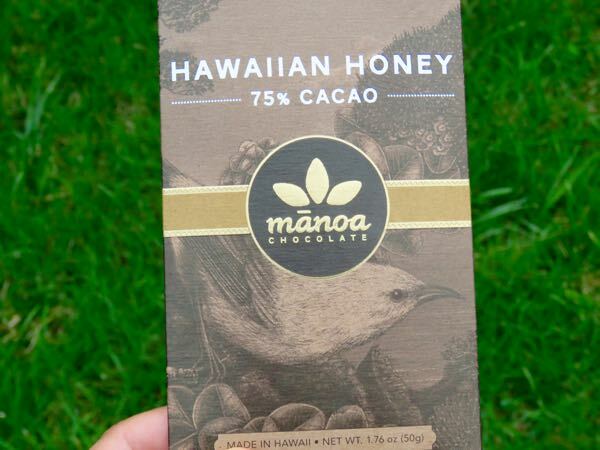 The honey in today's raw honey bar comes from the "nectar of flowering trees" growing in Hawaii. 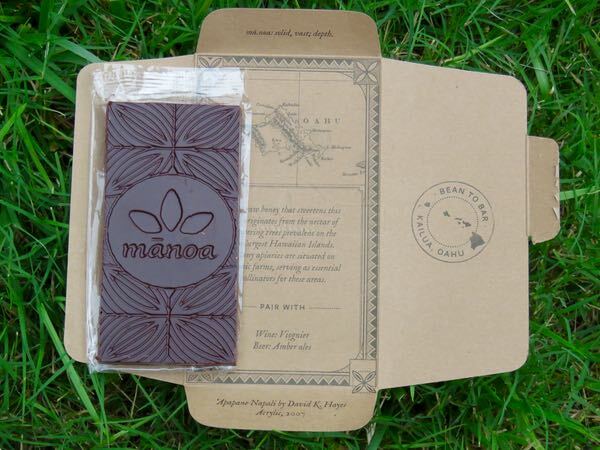 While it's difficult to say that any honey in the U.S. is organic (bees fly where they will to collect pollen and nectar), many of the source apiaries (hive locations) for this bar were based on organic farms. The bees also assist in pollination at these farms. 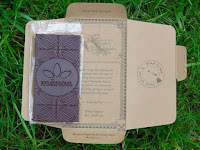 The aroma of this well-crafted, four-ingredient* bar was unique and a little intoxicating. In addition to the smell of fine dark chocolate, there was also a hint of honey, bee pollen and light honey floral spice (saffron) in the aroma and taste, despite the relatively high-percentage (75% cacao) and the presence of (organic) sugar. 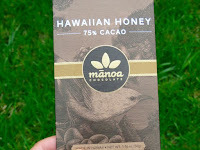 Normally dark chocolate and/or sugar overwhelm the more subtle aromas and flavors of different honeys. The melt and texture were relatively creamy thanks in part to a bit of added organic cocoa butter. And the finish was pleasantly bitter honey sweet with a gradual fade. 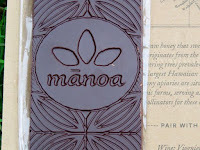 Welcome to the first day of Chocolate and Honey Theme Week. 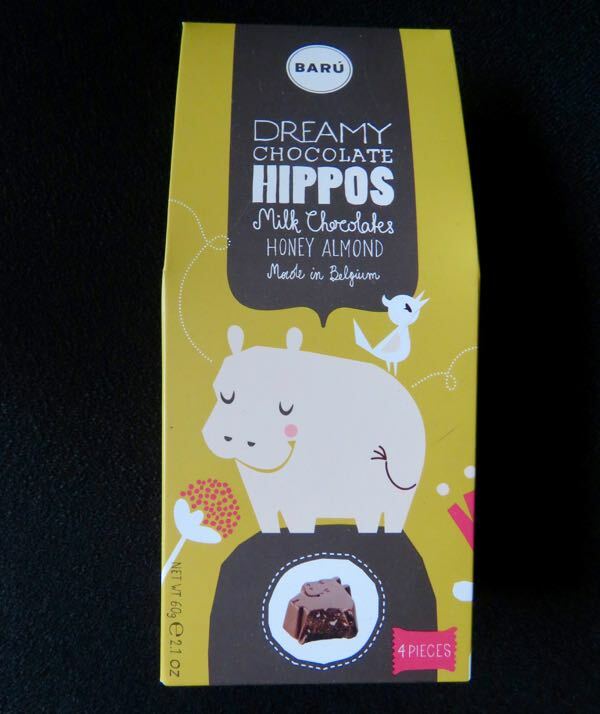 Sometimes people think that eating a new chocolate every day must be like dwelling in the land of milk and honey. More accurately, it involves visits the land of milk chocolate and honey. 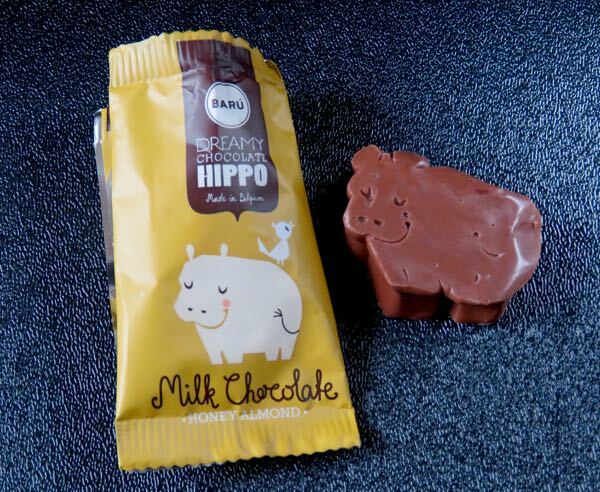 Today's Milk Chocolate Honey Almond Chocolates from Baru (Belgium) were molded into small (individually-wrapped) hippo shapes. Cute! 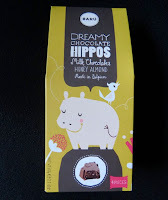 The 33% milk chocolate hippos had a sweet milk chocolate aroma and flavor with a creamy melt. 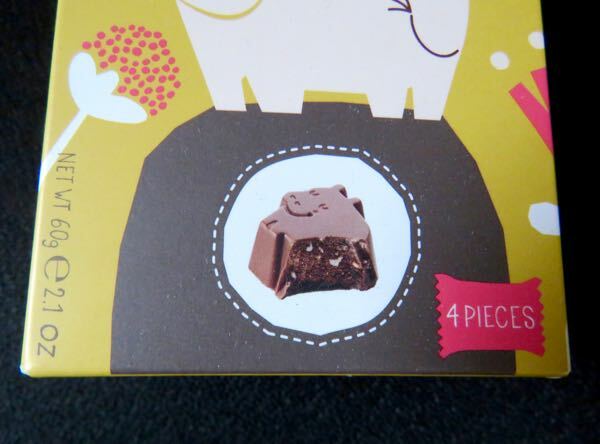 The almonds were difficult to detect in the honey nougat flavored milk chocolate. A bit of nice honey flavor surfaced in the finish. *Note to those watching their allergens: While there was no specific wheat ingredients called out, this chocolate contained glucose, a sweetener that can contain/be made from wheat. And the label carried a "may contain traces of wheat/gluten" type advisory.